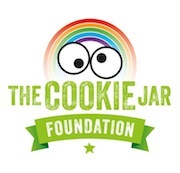 An amazing effort from #TeamCookie! Six mad people wanting to tick this adrenaline rush off their ‘bucket list’ and raise money for The Cookie Jar Foundation in the process. £4,000.00 raised for this challenge is a phenomenal amount, and we would like to thank everyone for their support, and especially those who turned up on the day to cheer us on, and to Kenny Roches for taking the photos.